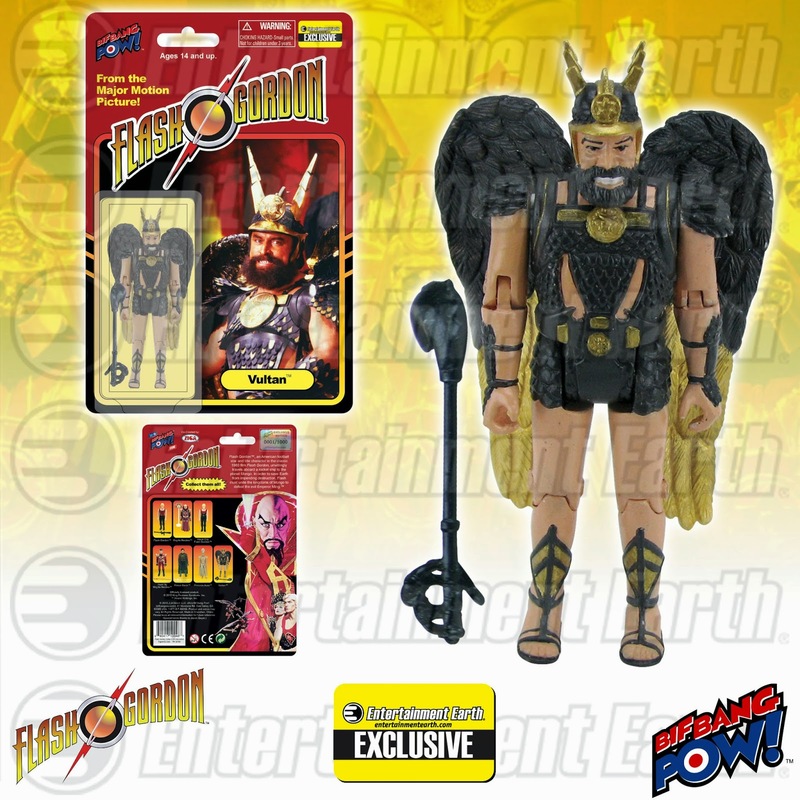 Long live the new savior of your action figure universe! 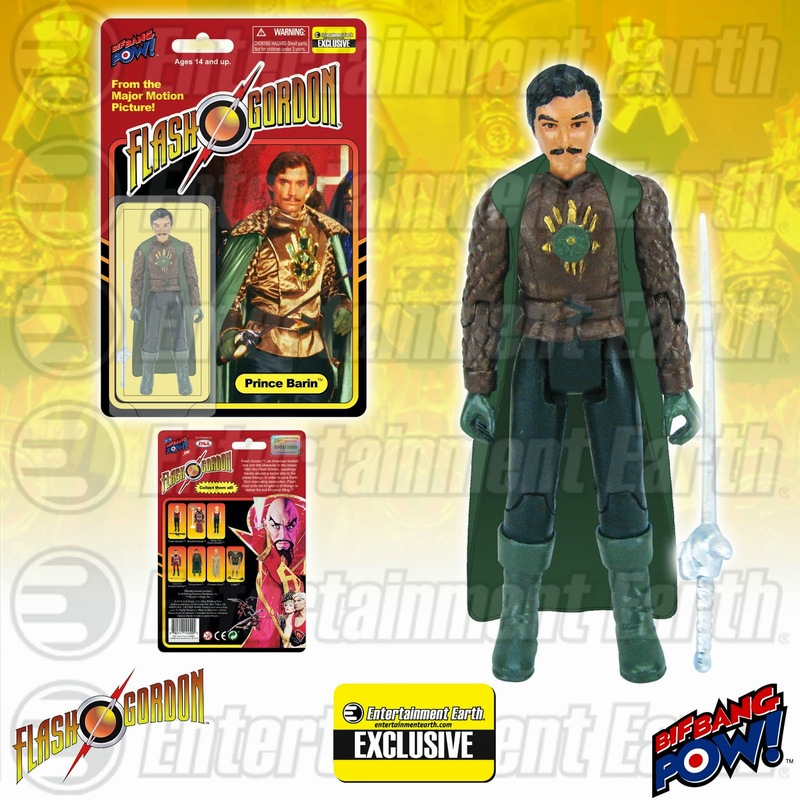 Collectors can now rejoice as Action Figure Insider and Entertainment Earth News just broke the news on our first-ever 3 3/4-inch scale action figures from the cult favorite 1980 sci-fi film Flash Gordon. 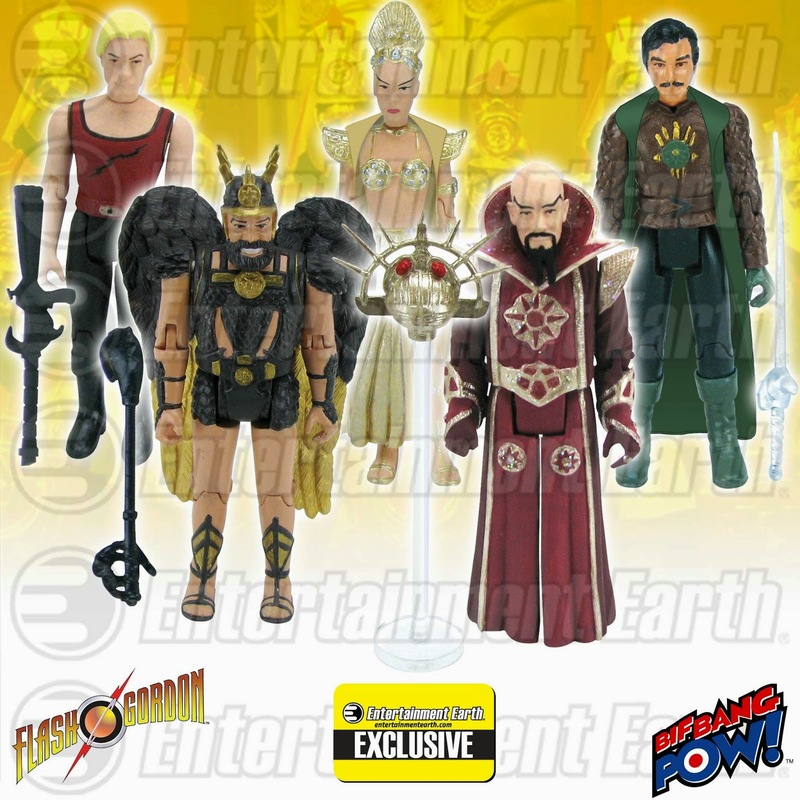 These authentically designed and rendered action figures feature multiple points of articulation, and each comes with an accessory (except Princess Aura, whose only accessory is her seductive charm!). What’s more, they’re all available now for pre-order through EntertainmentEarth.com! 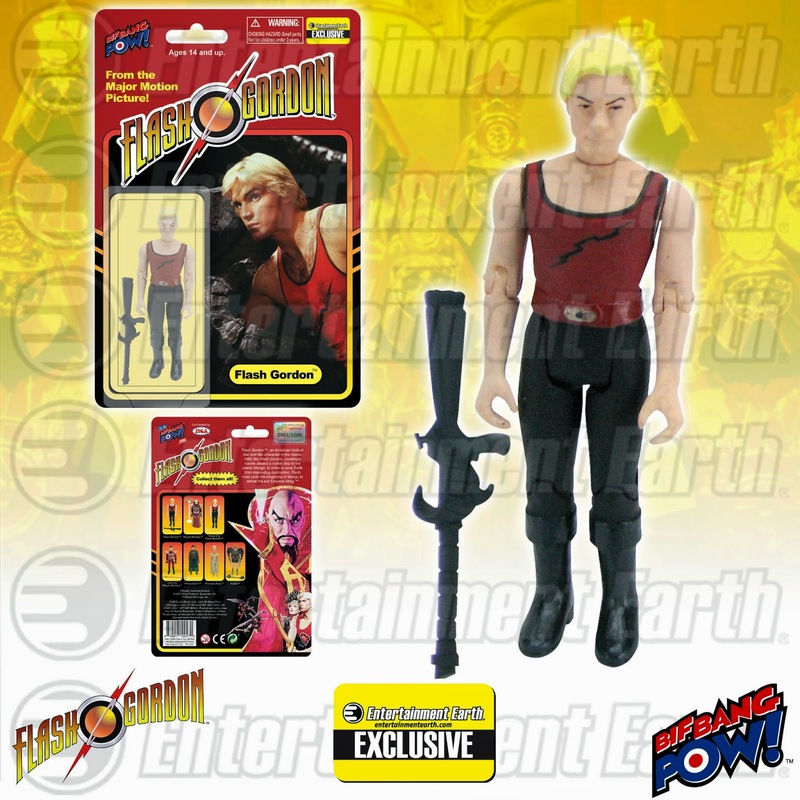 With only 1,448 pieces of each figure produced (Flash Gordon figure limited to 4,408 pieces), these limited edition and individually numbered figures won’t be available in this universe forever! Each figure is packaged and sold separately. See all of Bif Bang Pow! 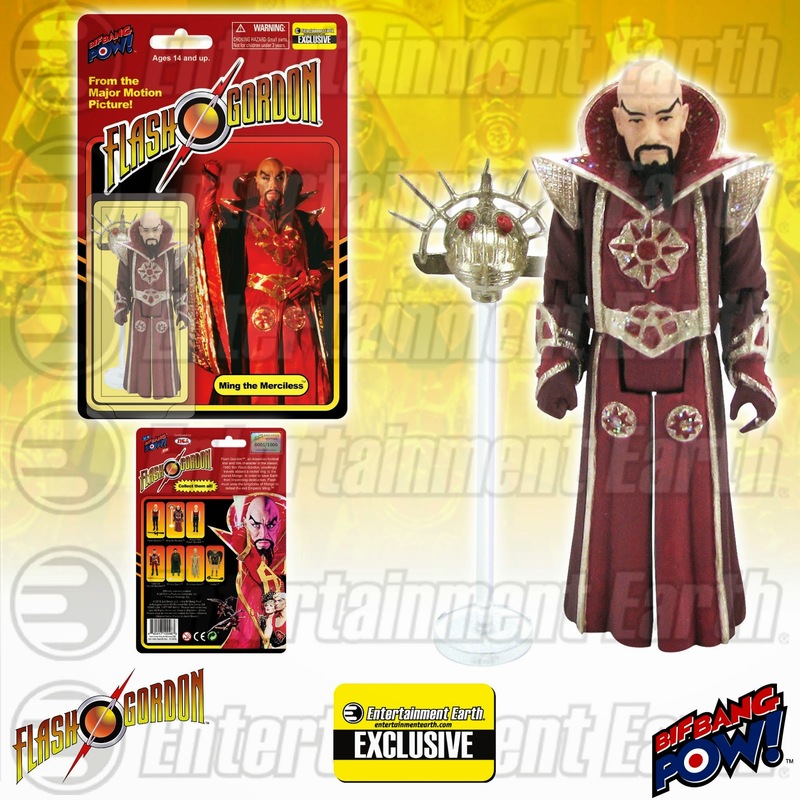 's universe saving Flash Gordon collectibles available from Entertainment Earth!